Quakers with their saltbox shape from Colonial times and sloping roof add character to your backyard. Great for a garden, lawn or storage shed. You can easily add a 4′ x 6′ barn ramp for your lawn mower, cart, tiller etc. Can double as a workshop also. 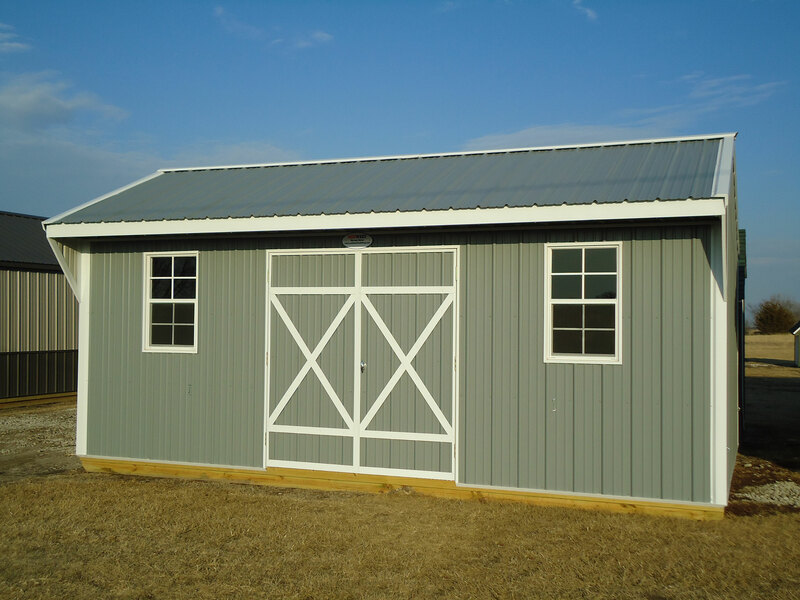 These buildings come standard with two 22″ x 36″ aluminum windows, overhang, and 7′ sidewalls. This Is The Building To Do It With! Have ideas! We would be glad to implement them for you.